The Granada Hills institution has been KOd by home consoles and online game sites after nearly 40 years. Inside, the Family Fun Arcade is dark, even on a sunny day. In the back, there?s a counter where you can get change, buy a can of soda for 75 cents and grab a bag of Doritos or a cellophane-covered brownie. The place is noisy, always noisy, not with the flashy whining arpeggios of slot machines or the squeals and songs common to a Chuck E. Cheese but the booms, beeps, blasts and hai-ya?s particular to ?Street Fighter.? Despite the name, Family Fun is not the typical kiddie-enticing arcade. There are no redemption games here ? no Skee-Ball machines spitting out tickets to trade for plastic trinkets, no claws feebly grasping at plush toys. An air hockey table stands near the door, but everything else is joysticks, buttons and video. ?What we used to have going for us was that we were the unique experience you couldn?t get at home,? owner Ralph Sehnhert says. ?Now, you can sit in your pajamas, play against some guy in Amsterdam or Yugoslavia with a seamless connection, and you don?t have to keep going into your pocket to put quarters in.? That?s another stumbling block to coin-op economics: the quarter. While prices of virtually everything have risen since Family Fun first opened, it?s hard to jack up the per-play price of a game, Sehnert says. In the arcade?s early days, mechanical games like faux-rifle-equipped shooting galleries and pinball ? newly legalized in Los Angeles ? dominated. Air hockey had just been invented, as had the first video game, ?Pong.? In the early 1980s, ?Pac-Man? fever spiked, then cooled. ?Dragon?s Lair,? the laserdisc game, was supposed to revive the sagging industry. It didn?t. For a time, home video games and arcade games worked in tandem, much like movie theaters and home video ? games would be released to arcades first, then a year or so later to consoles. But soon, the coin-free home consoles began to gain on dedicated games in huge wooden cabinets. "One of the things that hurt us in the long run was that manufacturers didn't want to sell us just the PC board and the artwork so that we could put it in our already used but fine cabinet," Sehnert says, forcing operators to spend as much as $5,000 per game. "Manufacturers made more firewood than we could stand. They killed the goose that laid the golden egg." A hands-on businessman, Sehnert saw another upswing in the form of one-on-one fighting games, and he pioneered a method of wiring two separate cabinet games together so players could go head to head. That and Sehnert's saavy move to be the first arcade in the U.S. to get the hotly anticipated Street Fighter IV in 2008 fueled one last wave of success. Yet recent events only confirm Sehnert's decision to close. 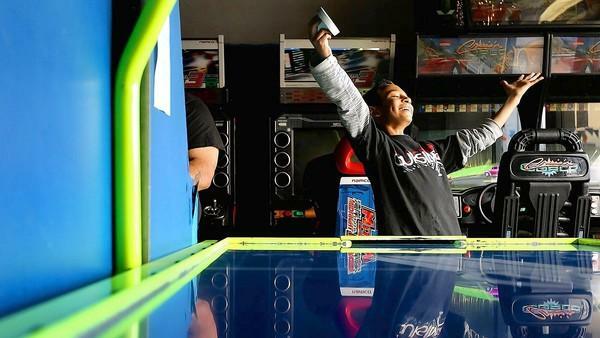 A tournament held this month that devotees organized to raise funds for his post-cancer medical bills had the arcade jam-packed ? so crowded that police came at 2 a.m. to shut down what was planned as a 24-hour event. Yet people weren't putting as many quarters in the machines as they would have on a typical Saturday night 10 years ago. But what surprised Sehnert was the emotional outpouring from so many patrons. One said, "A few years ago, I was in a bad place, but one day I came in here, I found a game, and I felt like I was part of something."